Can you tell us a little bit about your background? How did you get into producing electronic music? I got my musical education in Italy, my hometown Perugia is a city with a vast culture in house music, since the very early 90’s. So a lot of kids that grew up here have listened to house music since a very early age. People like me grew up to Nu Groove tracks, Pal Joey, MAW, MK. This because of a very popular club here in Perugia, Red Zone, were those kind of tunes were getting spun back in the days and are still played to this day. 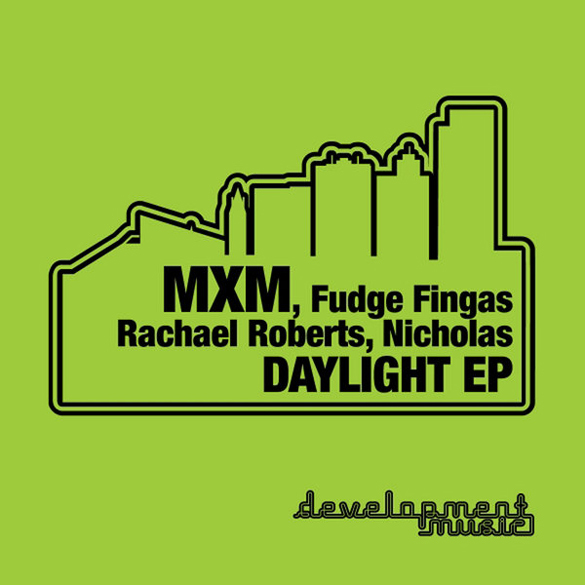 We love your new remix of the MXM track ‘Daylight’ at Development HQ, can you explain to us a little the process involved when remixing a track? I usually listen to the track several times until I come up with an idea. It’s hard to start working randomly if you don’t really know what your gonna do with the original tune, I did that a few times and it brought me nowhere. The process is different according to what I decide to do, but usually I try to keep many elements from the original. I don’t really like when the tune is transformed into a new song that has nothing to do with the original track. And what sort of software and hardware do you use in your studio? Not much, I use Nuendo as a sequencer then I have several VST’s. The trick is having a good soundcard and reliable monitors and headphones I think. you don’t really need hardware to make good house music. I know some people that use hardware and their music is bad. So it doesn’t depend on what you use, it’s more the idea and the inspiration that counts. You were recently asked to remix the Nu:Groove back catalogue. What was your favourite track from the project? Actually that was almost a year ago, it’s crazy how time flies so quickly. My favourite track was the remix of Kato – Booty Dance. It has a murky vibe and it’s super raw, almost naive. Also the remixes of Basil – Black Man came out good i think. We’ve seen lots of blogs/shops mentioning “90’s house” when describing your work, how do you feel about that? Well it’s true that my inspiration comes from that era, no doubt. Most of my releases have some kind of throwback house vibe, but I always try to keep things fresh so that people should be able to tell that it’s brand new tune. Right now it seems that everyone is into making 90’s house, which is not a bad thing, but it’s becoming like the disco edits were everyone and their mums are making that sound and, as a consequence, there is a lot of bad and uninspired stuff out there. Too many to mention. Regarding house it has to be Chez & Trent, MK, Murk, Nu Groove. But my influences go above that, I like all types of good music. I collect a lot of disco, soul, boogie, Italo, afro. That is another important source for my inspiration. You seem to be busy touring with your live show at the moment. Any highlights so far? Well I’ve just finished a tour in The USA and that was one hell of an experience I’ll never forget. Also I’ve played in Leeds a couple of times and both of them are some of my personal highlights. In general I just feel blessed of the opportunity to travel the word with my music. What can we look forward to from you for the rest of 2012? I have a new EP coming out that I’m really excited about and also some remixes I’m working on. Other than that I have some cool parties on the way too.